Mr. Chalk is a twenty-seven year veteran of providing instructional leadership to elementary and secondary schools in both the public and private educational settings in Texas and Arkansas. He received his Bachelor of Science degree from the University of Arkansas and his Masters of Education degree from Harding University. He is currently in the editing process to complete his dissertation for the Doctor of Education degree in Educational Leadership. He has served on numerous councils and committees to improve educational curriculum and instruction in several school districts. 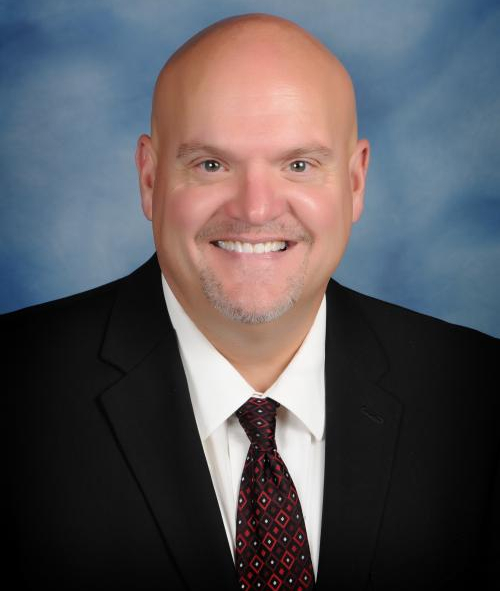 He has also assisted other school districts in curriculum development by providing leadership as a member of several advisory councils through Arkansas education co-operatives. Mr. Chalk has received several professional awards as an instructional leader. He and his schools have received numerous prestigious awards from the University of Arkansas – Office of Education Policy for dramatic increases in student achievement. As High School Principal, his school received the “High Achieving High School Award” and the “High Achieving – High Poverty High School Award”. His school received these awards because of average gains in standardized testing of 22% in one year. Math scores flourished with Algebra 1 scores increasing 18% and Geometry scores increasing 23%! Mr. Chalk would state that the huge increases were a result of seven different educational issues that were addressed by his school’s students, faculty, and stakeholders. The issues that were addressed ranged from having staff, students, and stakeholders taking responsibility for successful learning, to providing staff the ability to assess student mastery of learning expectations. Mr. Chalk and his staff also developed strong Professional Learning Communities to address certain educational objectives that were viewed as overall school strengths and weaknesses. He and his staff also developed and incorporated a Response to Intervention program to address individual student needs. The same work will continue in the Atkins School District to provide increases in student achievement. While in Northwest Arkansas, Mr. Chalk worked very hard in collaboration with Gravette Schools Superintendent, Dr. Richard Page, in developing much needed vocational programs for area students. Hard work in this area led to collaborative efforts with school districts in the region to provide opportunities in new programs consisting of Certified Nursing Assistant/Patient Care Assistant, HVAC (heating, ventilation, and air conditioning), and Advanced Welding. The increased programs provided students with the needed professional skills and certification to make concurrent college credit to the studnts. The vision is to provide the same opportunities to the students of Atkins School District.